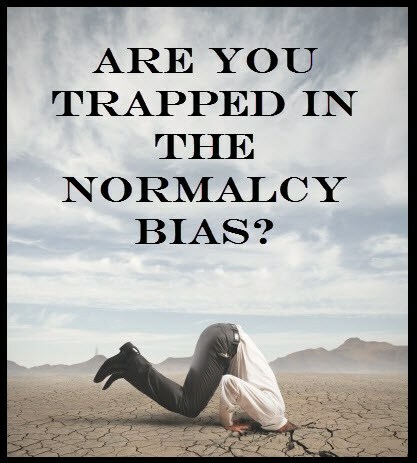 The normalcy bias, or normality bias, is a belief people hold when facing a disaster. It causes people to underestimate both the likelihood of a disaster and its possible effects, because people believe that things will always function the way things normally have functioned. I've read the comments about the Chinese and their defense advancements and one recurring theme comes up. People go thru mental gymnastics to state that its nothing. What have we seen? The Chinese have a robust space program. They have a very robust aviation, armor and ship industry. They're pumping out scientists and engineers the way we did back in the day when every little boy dreamed of being a pilot or astronaut. Yes! They've stolen tech to make leaps ahead of their normal evolution. Yes! They continue to steal like bandits from old westerns. Yes! They're lacking badly when it comes to engine tech. The funny thing is that this applies across the board. India? They have difficulties in their defense industry. Quite honestly they annoy me so much that I don't cover them on these pages as much as many would like. Brazil? Same. Indonesia, Thailand, Vietnam, Jordan, Iran...the beat goes on. There are countries around the world that are working overtime to catch up with the west in general and the US in particular. The globalization scheme (which is thankfully dying) made that easier. Trump is disrupting that scheme a bit but the beat goes on. Everywhere you look you're seeing tech transfers. You never hear the term "dual use tech" anymore because it will get in the way of the mighty dollar. Get out of your normalcy bias. Things are not normal.